It's never been easier to get high-quality sound for your voice and computer-based audio recordings. At home, the office-or anywhere for that matter-the Snowball iCE USB microphone delivers audio quality that's light years ahead of your computer's built-in microphone. The custom cardioid condenser capsule offers crystal-clear audio for communicating, creating and recording. Snowball iCE is Skype certified so you're guaranteed to get great-sounding results, and comes ready to go with an adjustable desktop mic stand and USB cable. It even works automatically with your Mac or PC-no drivers required. Select from three recording modes - voice, music or raw; Works with your favorite software on Mac or PC. 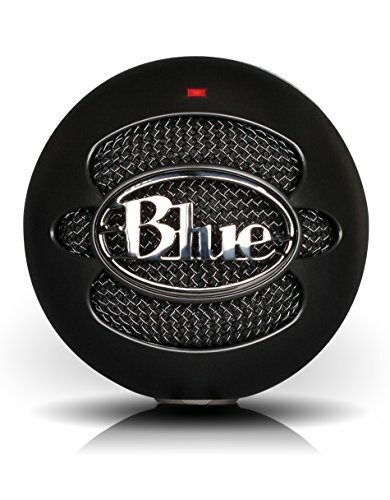 If you have any questions about this product by Blue Microphones, contact us by completing and submitting the form below. If you are looking for a specif part number, please include it with your message.